A pillow is a hugely important bedroom accessory, and it ensures that we are completely comfortable throughout the night. It's often forgotten about as we regularly replace the mattress, bed frame and sheets but a pillow is just as important. Choosing the right type of pillow is crucial as this will be dependant on your sleep position and style. If you do not select the most appropriate pillow, then you're likely to wake up in the morning with a stiff neck, sore shoulders or experience many sleepless nights. For people that feel regular pain when sleeping, the root cause is usually the quality of the pillow. We've put together this guide and completed all the research to save you time as we bring you the best pillows for side sleepers. Side sleepers need a specialised pillow because when you sleep on your side, there is a greater distance between the mattress and your head compared to people who tend to sleep on their front or back. To ensure that your head is kept straight and the spine correctly aligned this extra space needs to be filled. 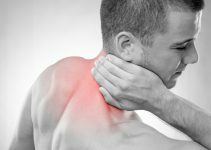 Otherwise, your head will be lowered at a bad angle causing the neck to bend uncomfortable leading to increased pressure on the nerves and the muscles and tendons straining. You need a pillow that is thicker than a regular sized pillow, so it provides you with a higher level of support. If you wake up in the morning feeling sore and tired, the reason is that you slept in the wrong position. If you don't take action, this can lead to even worse problems developing such as back pain, headaches or even sciatica. If you aren't already experiencing pain, then now is the time to act to prevent it from developing. There is no one size fits all pillow, so you need to make sure that you buy the most effective pillow. Dunlopillo has been designing and manufacturing pillows and mattresses for many years, and this pillow is from the latest 2014 range to build and improve on their extremely popular 2008 range. This pillow contains the unique Pincore construction that features inter-connecting air cells which work to create a built-in ventilation system to ensure that cool air can flow through the pillow keeping you fresh throughout the night. The Latex filling is soft and comfy and has an instant bounce back characteristics to provide deep and firm support. This pillow has been developed with the customer every step of the way to ensure the final product is effective. Because of Latex's ability to return to its original shape after each use, it has longevity so you will not have to keep replacing it year after year. It will continue to provide the same level of support and comfort. The pillow is hypoallergenic, lowering the chance of suffering from an allergic reaction. This pillow has been built for side sleepers so you should have no hesitation if you are considering purchasing. Despite being slightly more expensive than alternatives, this is for good reason because it uses a more premium Latex filling and has the durability to last many years, so this is a significant investment and is worth its weight in gold. There's a reason it has this price point because it's effective. Users have been very pleased with the pillows effectiveness at both preventing and curing pain and has been used to help a range of people from neck pain sufferers to car accident survivors. This pillow does feature a 5-year guarantee against any defects that may occur in the future, so this gives you additional peace of mind and also shows how much the manufacturer believes in the effectiveness of the product. Healthbeds have been in the pillow manufacturing industry for many years, and have built up a strong reputation which has seen them develop a Latex pillow which is aimed at side sleepers. The Cooltex Latex pillow is a superb solution for side sleepers as it works to relieve pressure on the neck and spine while additionally providing support and comfort to the user. It features Cooltex technology, so the pillow is naturally breathable and works to wick away moisture and sweat while maintaining a consistent body temperature throughout the night. Also, the pillow is hypoallergenic which makes it resistant to dust mite and antimicrobials. The high profile of the pillow makes it ideal for both side and back sleepers, and it is also extremely durable and requires no fluffing or plumping and will keep its original shape. This Latex is effective at both preventing neck and head pain from developing but its also great at relieving existing pain and pressure on your joints and body parts. There isn't much that separates this from the Dunlopillo latex pillow. This is an example of a healthy competition that has pushed two companies to make the best products for their customers. One thing it does lack is the five-year guarantee that the Dunlopillo has included for free. However, this is still a great choice of pillow for side sleepers. The Foksal memory foam pillow is an extremely versatile pillow and is suited to people who sleep in any position. This is due to its design that provides the user with appropriate orthopaedic support and is perfect for your neck, head and back. It is even suitable for pregnant women to get a comfortable sleep. The memory foam contours around the shape of your body providing a wonderful sleep allowing your body to relax and relieve any tension or pressure entirely. The pillow is constructed using high-quality Visco memory foam and is the perfect density and thickness. The pillow is also hypoallergenic and antibacterial, so if you suffer from allergies or you're sensitive to dust, then you're in luck because the Foksal memory foam pillow is built with a fabric that blocks these potentially harmful substances. Although traditional memory foam tends to stay warm, included is a heat regulating cover that works to maintain a consistent temperature to ensure that you don't overheat and increasing your comfort. Foksal is so confident in their product that each purchase comes complete with initial 90-day money back guarantee if you aren't entirely happy with the product. In addition to this, there is also a two year product warranty which covers any defect that may occur. Memory foam has been used for years by side sleepers as the material is firm enough to provide support and relieve pressure that may be building up on the neck. One thing that's certain with memory foam is that it will retain its shape for an extended, so you don't need to worry about it clumping or going soft. Most memory foam pillows that are available are either too hard or too thin which is counteracts our attempt to relieve tension and pressure. The high-quality Visco memory foam has the ideal level of firmness. Buckwheat filling is often referred to as the organic and natural alternative to traditional memory foam. Buckwheat pillows are incredibly versatile and can suit a range of sleeping positions including side sleepers. They are firm and help to relieve shoulder, neck, back or shoulder pain to help improve the quality of your sleep. During the manufacturing process, the buckwheat is triple cleaned, dust free and organic while it has a fantastic ability to stay cool in the summer but will remain warm in the winter. The pillow itself has some weight to it, but it's incredibly flexible and can mould into the position that you sleep in. Surprisingly the buckwheat filling makes no rustling noises even when you move. Included is an organic cotton cover that is removable and machine washable. The pillow comes with 7-night money back guarantee, so you're free to try it out, and if it doesn't improve your sleep, you can return it for a full refund. Because it's manufactured using 100% organic material, unlike memory foam there is no period of off-gassing that occurs, and the pillow can be used instantly. Despite being a relatively new type of pillow filling, it has quickly become a favourite amongst buyers, and the reviews speak for themselves. Unlike memory foam, it only takes a couple of days to get fully used to the different filling, and its comfortable support will have you falling off to sleep in minutes and leaving you feeling refreshed. This filling is a little different and offers you a different choice if the other fillings don't quite suit your needs. This firm support bamboo pillow has been created and designed for side sleepers and is an upgrade on the traditional microfibre pillows. It features sweat and moisture wicking properties to ensure that you stay cool and fresh throughout the night which also reduces odours. Bamboo naturally regulates body heat so you will maintain a consistent temperature, and the Bamboo fibres are sourced organically and grown without the use of chemicals or pesticides, so this is ideal for sufferers of eczema of sensitive skin. One of Bamboos main properties is that it's naturally resistant to dust mites, mildew, bacteria and other pests which makes it ideal for an anti-allergy pillow. The pillow is also hypoallergenic so provides a great alternative to feather and down pillows that are less effective for side sleepers. The pillows performance is surprisingly good and has a bounce-back ability, while not as effective as the pillow higher on the list it is still effective to some degree. The pillow is easy to care for and machine washable, so it requires little maintenance time or attention. While this isn't quite as effective as alternatives that are listed, if you are extremely prone to allergic reactions or have hypersensitive skin then this may be the solution for you. It's also more affordable, but don't let price be the difference between choosing an average pillow over an exceptional pillow that will enhance your sleep. There are several different types of pillow fillings that are the most effective for side sleepers as they will provide you with the appropriate levels of support. Memory foam is a unique type of material, that contours to the shape of your body but then can snap back into its original shape when it's not being used. Memory foam is extremely comfortable but also provides the firmness and thickness that you require when sleeping on your side. In recent years shredded foam has been developed from the original memory foam concept, which is shredded up foam which is easier to bend and mould than the original large block of memory foam. Shredded foam also has better temperature regulating features as the air can flow freely through the pillow. Memory foam is the most affordable side sleeper pillow solution as it has been around for many years. It is also easy to maintain and care for, and the foam won't clump or change shape over time. The filling is created using natural Buckwheat material which is firm and provides the necessary levels of support. They are also more durable than the traditional feather filled pillows so they will not end up bending or collapsing in the middle. High quality of buckwheat is that the material does not store heat and can self ventilate, this means that you can maintain a comfortable sleeping temperature and you will not overheat throughout the night. Buckwheat tends to be a little heavier; however, this is not wholly important unless you plan to travel with it frequently. Like any industry, improvements are continually made as technology develops. Latex pillows are slowly becoming one of the most popular types of pillows for side sleepers. Latex pillows are soft yet provide a large amount of support to your head and neck to avoid a slumping position. Its overall firmness puts your neck and spine into a neutral position which is great for side sleepers. The pillow itself has small holes built in which creates a system of interconnecting airflow channels which works as a natural ventilation system that disperses heat and moisture. Latex pillows tend to be hypoallergenic and unlike traditional memory foam does not have off-gassing. This type of pillow also requires little maintenance such as shaking or fluffing. If you sleep on your side, there are four types of pillows you should avoid as they could worsen the quality of your sleep. This type of pillow is soft, bendy and moulds to the shape of your head, but it isn't high enough to support the neck and head of a person who sleeps on their side, so this will place more pressure onto the joints and neck. Down pillows are comfy and soft, but they lack the necessary elevation and support for side sleepers regardless of the quality. It's regularly claimed that gel pillows are suitable for side sleepers however we have found that they lack the support and firmness needed. Also, they have poor longevity, and clumps and lumps begin to form after a short period. Polyester pillows do not provide the necessary support that aside sleeper needs because not only are they not firm enough but the pillow filling shifts and moves freely which creates hollow areas of the pillow which creates a lack of support and firmness. There are many things that you must consider and evaluate before committing to purchasing the best pillow for side sleepers. The height of the pillow ensures that your neck is in the most comfortable position. If the pillow is too low, then this can strain your joints. If you follow our filling recommendations, then this shouldn't be an issue as they all have the required height that is needed. Of course you should consider the price, however, you shouldn't hesitate to spend a little more than usual for a quality pillow that will improve your overall health and wellbeing. You should consider it as an investment. How easy is the pillow to clean? Can it be hand wiped or can it be machine washed and tumble dried? These are some of the things that you need to consider before purchasing. Firmness is a crucial attribute for a side sleeper. Before committing to purchase you should be aware of the firmness. We would recommend a minimum of medium firmness to ensure that your neck, spine and shoulders are supported throughout your sleep. Always consider the material filling that is used, and different fillings have different qualities such as cool technology or contouring ability. Your choice will solely be down to your individual preferences but as mentioned before the best pillows for side sleepers will either be Buckwheat, Memory Foam or Latex. Depending on your preferences, you may wish to have a pillow that stays in its original shape for the whole night, or you may want a pillow that contours and shapes to your body. If you want no movement, then a memory foam pillow is better suited but if you more movement then shredded memory foam or buckwheat pillows are a more suitable alternative. Many new brands enter the market every day that claim to provide the support that side sleepers desperately need. Many of these pillows are great for side sleepers but are not versatile enough. For example, many side sleepers roll onto their back throughout the night, and these pillows are not constructed to provide the necessary support. To avoid this, you should initially stick to the leading brands that are well established so you can be assured of the quality. Online reviews are hugely important to find out how different users react and experience different types of pillows. It will allow you to make a more informed decision. When looking through reviews as a general rule, you should disregard reviews that were posted several years ago, because they may be outdated because many brands redevelop their products to address faults. To conclude, you need to remember that your choice of pillow is crucial and should be taken as seriously as your choice of mattress and bed frame. The pillows listed in the guide are the best pillows for side sleepers that are on the market. The most important thing is that you purchase a pillow that suits your sleeping position.